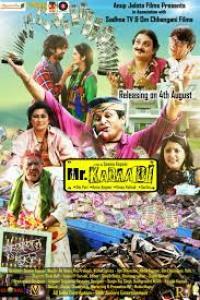 Mr. Kabaadi is a satirical comedy. When a kabadiwala or a scrap dealer becomes rich he flaunts his wealth. To be like other millionaires he changes his wardrobe, tries a different accent while speaking; expanding his business or hiding his ill-gotten wealth.